Aston Martin Vanquish Performance, Engine, Ride, Handling | What Car? 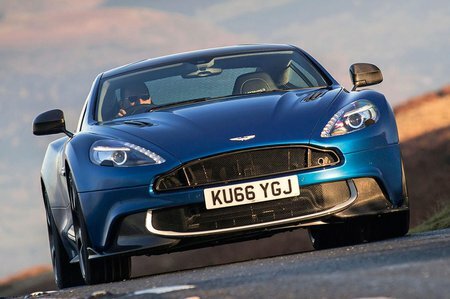 Even though the Vanquish is getting on a bit, a few tweaks late in 2016 mean the big V12 now pushes out – wait for it – a colossal 560bhp or 592bhp in Vanquish S guise. That’s enough for a claimed 0-62mph in just 3.5sec, although pottering around town it’s docile and pulls smoothly from low revs. Yet breach 4000rpm with your foot welded to the floor and it develops this brutal, harder edge, with mighty acceleration and an almost homicidal exhaust howl. Saying that, the Vanquish, much like the Continental Supersports, still feels significantly less intimidating than the frenetic Ferrari F12. That goes for the handling, too. It doesn’t have the surefooted four-wheel drive traction out of tight corners of the Bentley, so you need to pour on the power gently or else you risk it swapping ends, but it’s not inherently snappy or as demanding to drive as the spikier, and ultimately faster, F12. That could be both good and bad, depending on your particular perspective. The steering is definitely one of the Vanquish’s highlights. Thanks to the sweetness of old-fashioned, hydraulically assisted steering (as opposed to the newer, less sensitive electronic power steering set-ups) it’s dead easy to place the nose of the car because you get the feedback through the steering wheel to know exactly what the front tyres are doing. That said, this car never feels desperately agile. Yes, the body is made from carbon fibre, making the Vanquish lighter on its toes than the Continental, but this is still a hefty brute. And while the switchable adaptive suspension is tuned to dial out body lean, even in its stiffest setting it feels altogether softer and at times even a tad floaty over undulating roads, especially compared to the sharp-witted, hunkered-down F12. It’s pretty comfortable for this type of car, which adds to the sense that the Vanquish is more of a GT than an out-and-out sports car. Soften the dampers off and it absorbs the impact of most road acne surprisingly well, although it does tend to fidget about over rippled roads. Wind noise at 70mph is also hushed, but you do have to put up with quite a lot of road noise at speed. 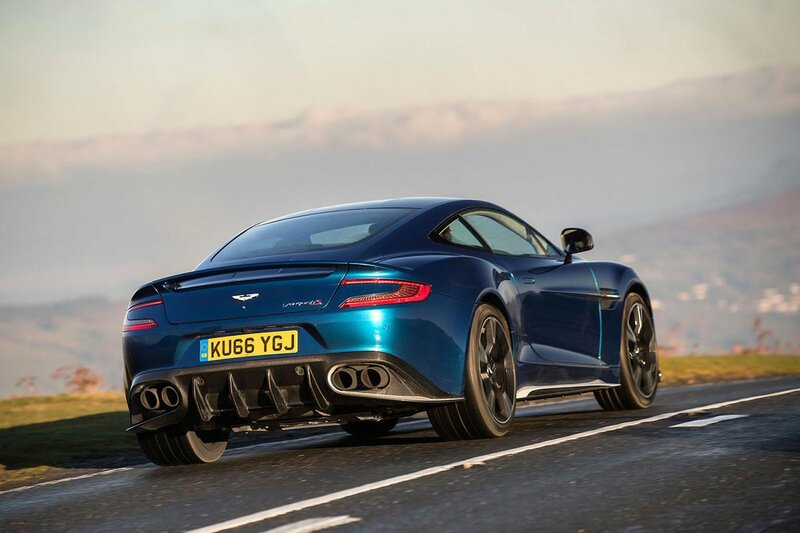 Mostly that V12 exhaust note is part of the intoxication of Vanquish ownership, but sometimes the resonance can become a mite wearing and you find yourself wishing for a little peace. The eight-speed automatic gearbox, meanwhile, is smooth when left to its own devices, but needs to be in manual mode to get the best from the engine. Even then the shifts are slurred and tardy compared to the near-instant shifts of a Ferrari F12, or the Continental for that matter.